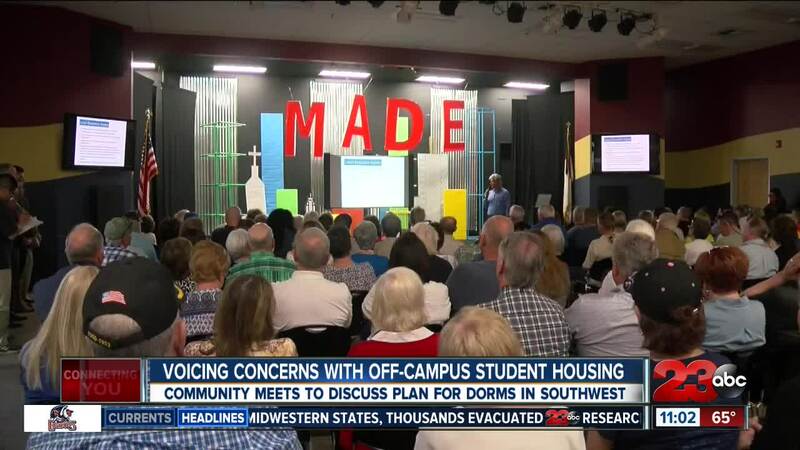 BAKERSFIELD, Calif. — The student center at St. John's Lutheran church was standing room only as the Coleraine Capital Group met with southwest residents concerned with the new proposed off-campus student housing. The two-five story student housing facilities are set to be built on the corner of Stockdale Highway and Coffee Rd less than a mile from CSU Bakersfield's campus. Stockdale Estate residents are against the proposed development. They say it will increase traffic to an already busy intersection and infringe on neighborhood privacy. However, some CSUB students are for the off-campus option due to the high costs associated with living on-campus. A municipal hearing is scheduled for April 9th.